The dramatic story of Methamphetamine as it comes to the American Heartland-a timely, moving, account of one community's attempt to confront the epidemic and see their way to a brighter future. The bestselling book that launched meth back into the nation's consciousness. 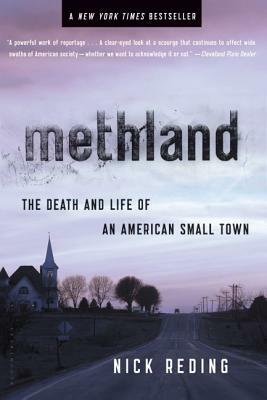 Based on Reding's four years of reporting in the agricultural town of Oelwein, Iowa, and tracing the connections to the global forces that set the stage for the meth epidemic, Methland offers a vital perspective on a contemporary tragedy. It is a portrait of a community under siege, of the lives that meth has devastated, and of the heroes who continue to fight the war. Nick Reding is the author of The Last Cowboys at the End of the World, and his writing has appeared in Outside, Food and Wine, and Harper's. Born in St. Louis, Missouri, he decided to move back to his home town in the course of reporting this book.